We are a boutique beauty team catering to brides and private clients all over Greater Cincinnati, Dayton, and Kentucky area. 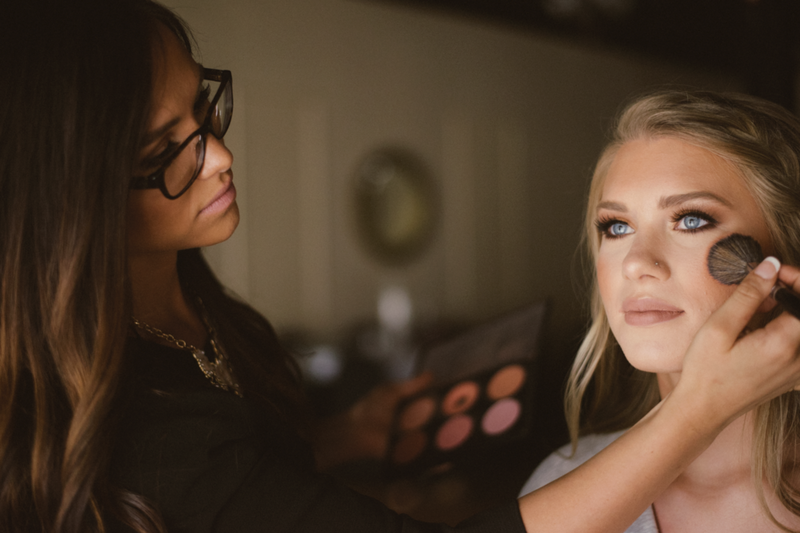 Taylor is the driving force behind Flawless Hair & Makeup and has teamed up with Cincinnati's best makeup artists and stylists to bring outstanding artistry to the bridal industry. We have extensive experience in the beauty industry, spanning over the last decade and beyond. With our experience, dedication and love for weddings and making women feel beautiful, The Team has been able to make their dreams a reality: specializing in Bridal Beauty throughout the Greater Cincinnati, Dayton, and Kentucky area. We specialize in photo-ready, on-site, wedding hairstyles, up-do's, and airbrush makeup. "Flawless is amazing! Taylor was great at communicating with me through email - she was always prompt and thorough even when I had a million questions. When it finally came, I decided I wanted to make some changes to my look, and she made it happen flawlessly! We all ended up looking and feeling great. Ellie and Jen handled my bridesmaids and the groom's mother, and they all loved their looks. Thanks ladies for your hard work!" We will make you look and feel as beautiful in real life as you do in your photographs. The Flawless Team is an accomplished, detail-oriented & artistic group of Hair & Makeup Artists. We believe teamwork, communication, and dedicated vendors make for the best wedding days & we are excited to serve you on yours!